Dr Barbara Boswell is a senior lecturer at the School of Literature, Language and Media at the University of the Witwatersrand. Her field of specialisation is representations of gender, race and sexuality in South African literature and black feminist literary criticism. She has previously worked as a project officer for the Young Women's Sexual and Reproductive Health Rights Leadership Project at the University of Cape Town, and a lecturer in Gender Studies at UCT. 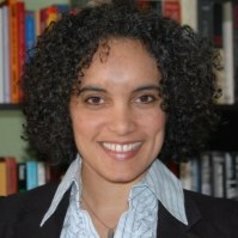 She has also taught Gender Studies and English at the University of Maryland, College Park, and the University of Virginia, where she was a postdoctoral fellow at the Carter Woodson Institute for African-American and African Studies.